Some of the best food in New York City is also the simplest. We are revered the world over for our pizza. Our bagels are the stuff of legend. And people actually wait in line for our street meat. 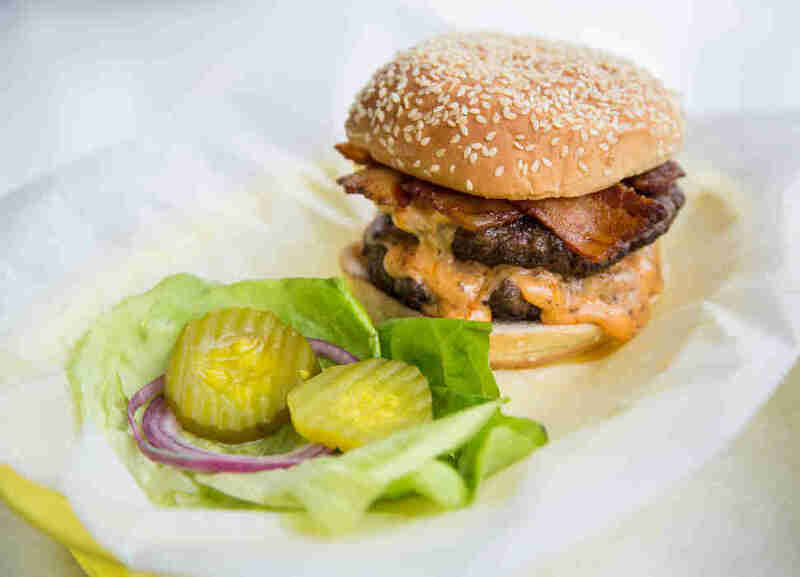 Now, it looks like the humble burger is poised to become NYC’s next icon. 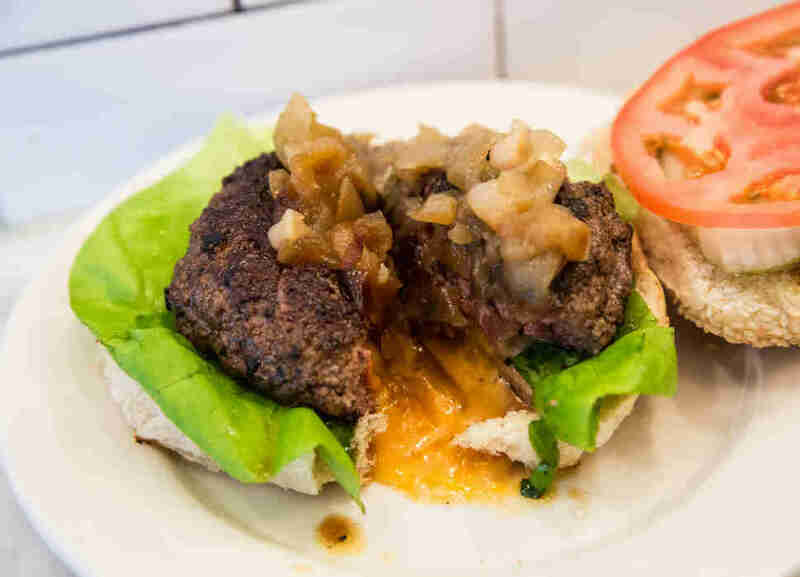 No longer a reliably monotonous menu item, burgers have become the standout dish at old-school pubs and diners and Brooklyn cocktail bars and pizzerias alike. 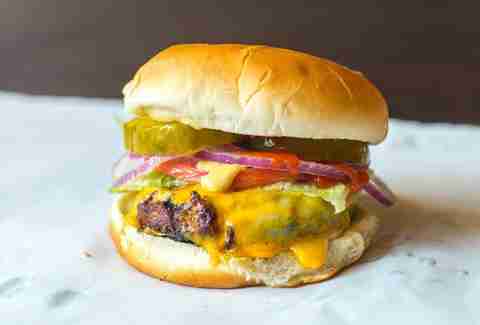 We’ve got a fancy dry-aged number; fast food-inspired cheap, greasy sliders; and, of course, meatless patties. Among your countless options, each of the 33 burgers below stands out for a unique reason. 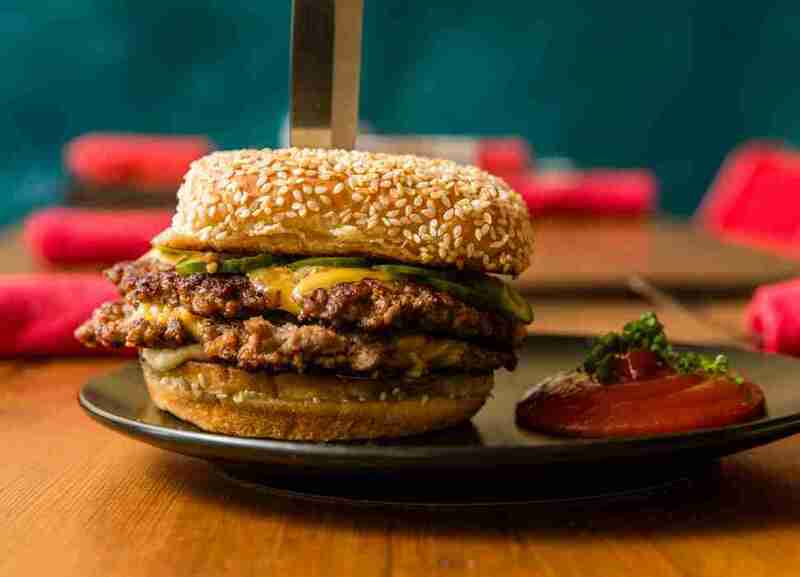 Whether you’re craving an essential diner burger, an Instagram-friendly pizza joint’s hidden gem, or decadent deckle (more on that later), these are New York City's best burgers. 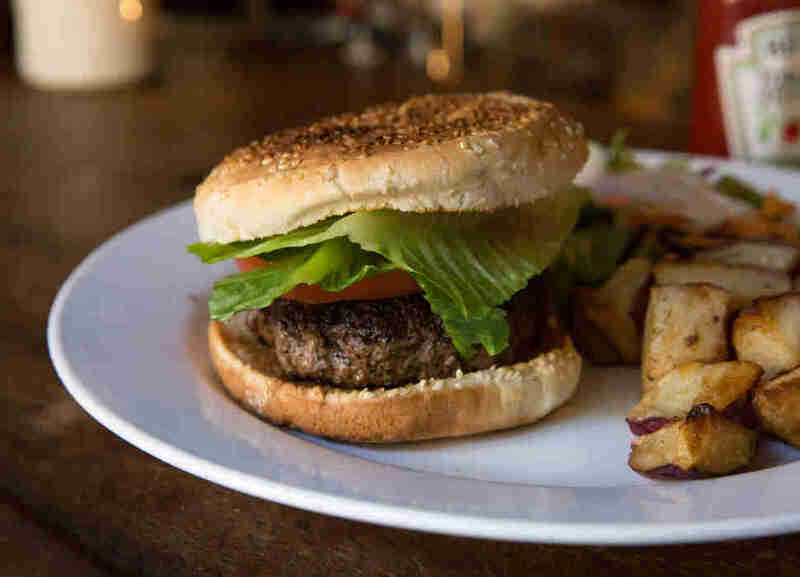 Bar Sardine, a tiny West Village spot that's tailor-made for first date drinks, probably isn't your first thought when looking for a great burger, especially with Corner Bistro just a few blocks away. But the Fedora Burger (named after owner Gabe Stulman's other venture just a few doors down) is arguably one of the city's most interesting: a juicy Pat LaFrieda patty topped with smoked Cheddar and BBQ mayo, which add flavor that's at once smoky and sweet, plus crispy shoestring fries for some crunchy texture. It all comes together with red onions and pickles on a well-toasted, flattened bun that despite your best intentions will absolutely need to be cut in half in order to be consumed. Boilermaker lives up to its name, as it's completely full of people who make boilers for a living. Just kidding! The bar does beer and shot combos. 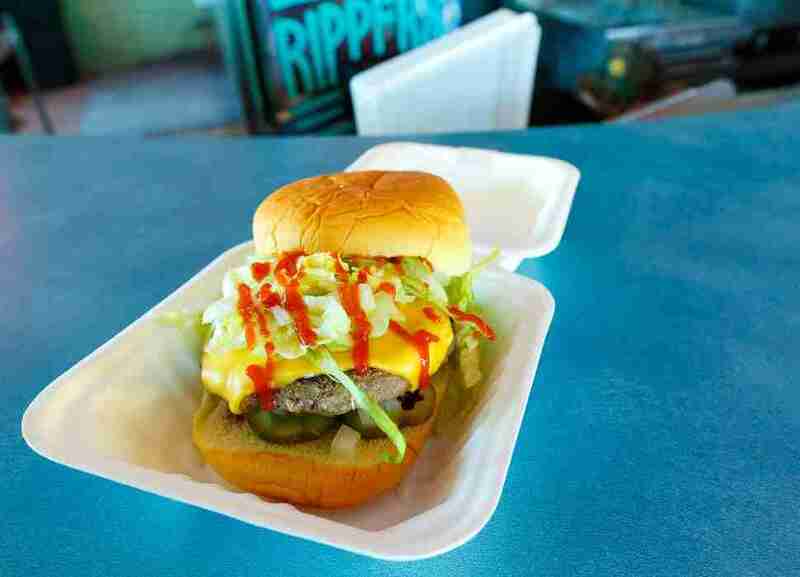 But in addition to Sixpoint and Johnny Drum Private Stock, it's also home to an excellent burger from Miguel Trinidad, of nearby Filipino favorite Jeepney. It's relatively cheap ($11 for a double, $8 for a single, plus an extra dollar for bacon and cheese) and comes topped with Jeepney's Atchara -- traditional pickled vegetables from the Philippines that pair an interesting sweet & sour taste with the meat. 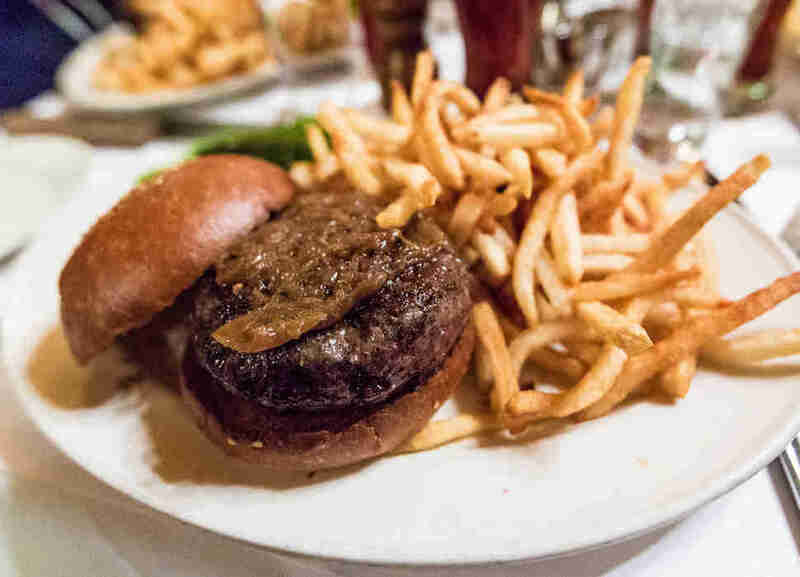 The burger at Raoul’s was named the best in Manhattan by Thrillist’s National Burger Critic, but it comes with a pretty big caveat: There are only 12 made each night, and they’re only available at the bar. If you can make it there a little before the kitchen opens at 5:30, you may be lucky enough to experience the perfectly seared, brisket-heavy patty topped with rich, triple-cream Saint-André, red onions, cornichons, and peppery greens for extra acid and spice, inside a squishy challah bun. 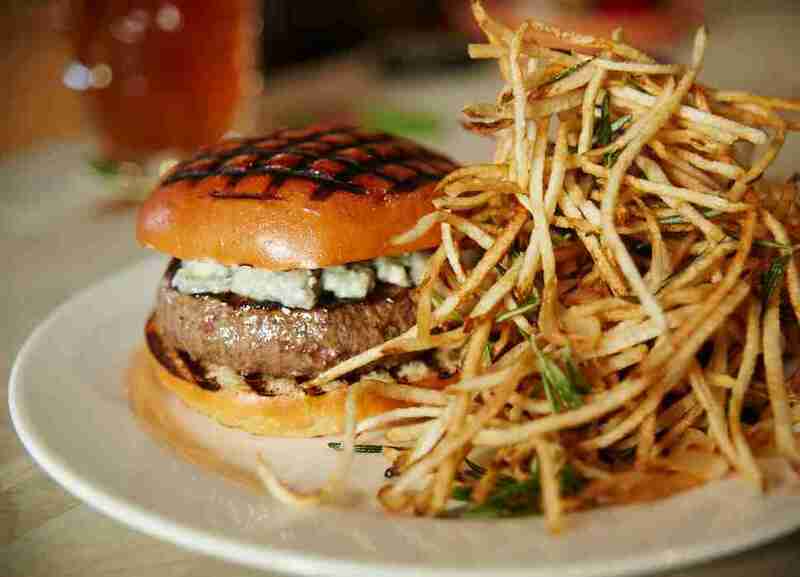 The famed chargrilled burger with Roquefort at April Bloomfield's Michelin-starred Spotted Pig is a real bare-bones cheeseburger; you won’t get any lettuce, tomato, or onion -- and it doesn't need them. What you will get is an ultra-thick beef patty topped with seriously stinky (in the best way) cheese inside a fresh-baked bun branded with criss-crossed grill marks. There is a slight challenge that comes with ordering this -- that is, somehow making your way through a mountain of shoestring fries that nearly engulfs the already tall burger. The Brindle Room menu is full of comfort food like chicken wings and pork confit poutine and spaghetti with meatballs, but it's hard not to pity people who choose to order any of those. That's because this place is singularly about the Steakhouse Burger. 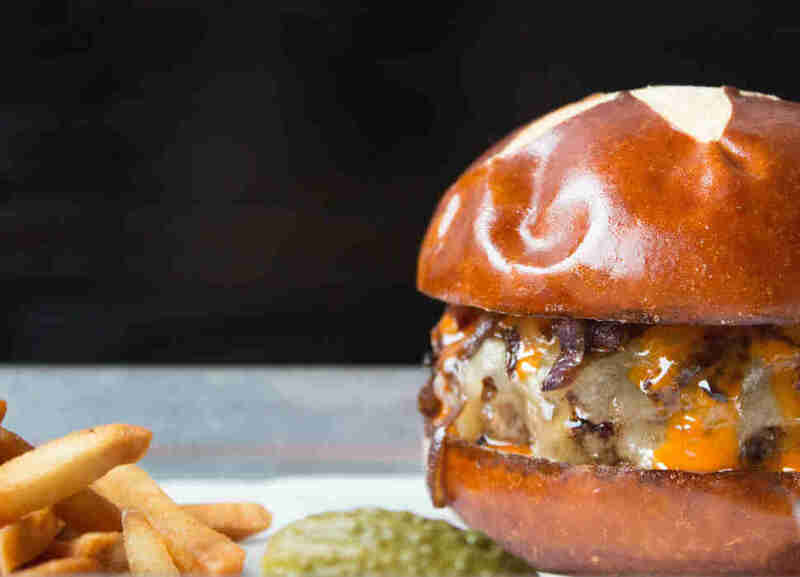 What makes the burger here so special is its sheer simplicity -- a dry-aged blend of ground beef, steak trimmings, and deckle (aka the fatty part of a rib-eye) that comes slightly charred and topped solely with American cheese and caramelized onions. There's no need for extra sauces -- in fact, ketchup would probably do more harm than good, but a few extra napkins to help you manage all that melty fat is not the worst idea. There’s a reason both tourists and locals continue to line up for unreasonably long periods of time for a ShackBurger; not only is it cheap (by New York standards, $5.55 for a single patty and $8.35 for a double is indeed cheap), but it's also all about this simple fast food burger that, like a certain West Coast chain (that we're doing just fine without, thank you! ), has a quality of meat that exceeds fast food expectations, while still maintaining all the necessary grease and melted cheese. Seeing a burger on a menu at a lobster roll place is kind of like seeing a platter of seared scallops on a 24-hour diner menu. But don’t let that thinking steer you away here. Red Hook Lobster Pound griddles and butters its buns on both sides, meaning the thick, dry-aged short rib, chuck, and brisket blend patty gets and an extra-toasted accompaniment. You can easily go to Emily, order a thin-crust pizza (or a Detroit-style square if you're at the West Village location or Emmy Squared in Williamsburg), and leave feeling like you've had a great meal. But unlike the largely ignored, soggy meatball Parm at your childhood pizzeria, the burger at Emily isn't a throwaway menu addition -- it's what makes it a destination. In fact, the best course of action here is to order your pizza as a side to your burger (don't worry, you'll make room). Since Emily's inception, Chef Matt Hyland has diligently toyed with his perfect dry-aged burger, phasing in and out different butchers and different preparations. Today, the Emmy Burger is made with a dry-aged Fleisher’s patty that comes dripping in rich Grafton Cheddar, sweet caramelized onions, and buffalo-esque Emmy Sauce inside of a Tom Cat pretzel bun. One caveat: Both the Brooklyn and Manhattan locations have a limited availability of burgers each night, so be sure to get there early. 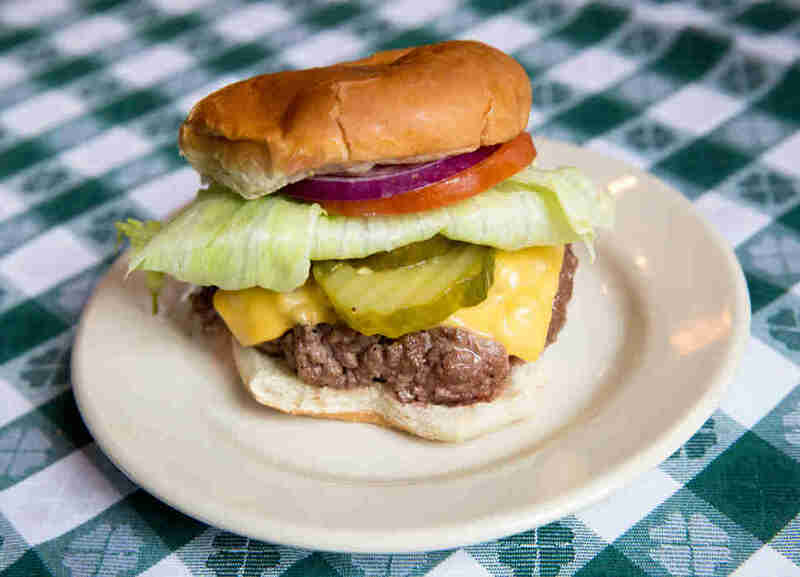 The bare-bones cheeseburger made famous at the old JG Melon on the Upper East Side is a New York classic that’s been enjoyed by the city's toughest burger critics -- high school students and middle-aged men in business suits -- since the early '70s. The components here is simple: a griddled, hearty beef blend with American inside a slightly toasted, soft potato bun. 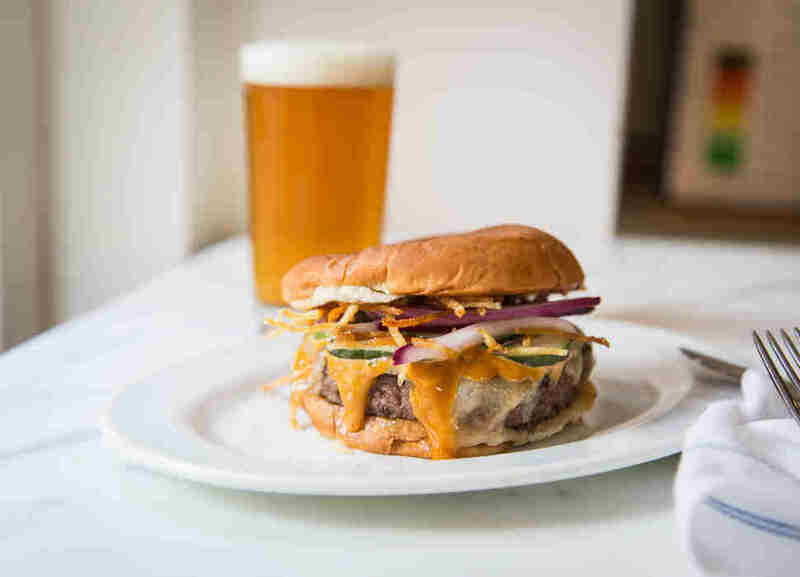 It's the perfect bar burger -- best enjoyed with a side of cottage fries -- and luckily, the newer Greenwich Village location hasn’t made any changes to the formula (that includes the exceptionally gruff staff). You're likely find more people eating fried chicken than a burger at Wilma Jean, but don't let that deter you from ordering a well-charred and juicy patty (best as a double) topped with American cheese inside a fluffy sesame bun. 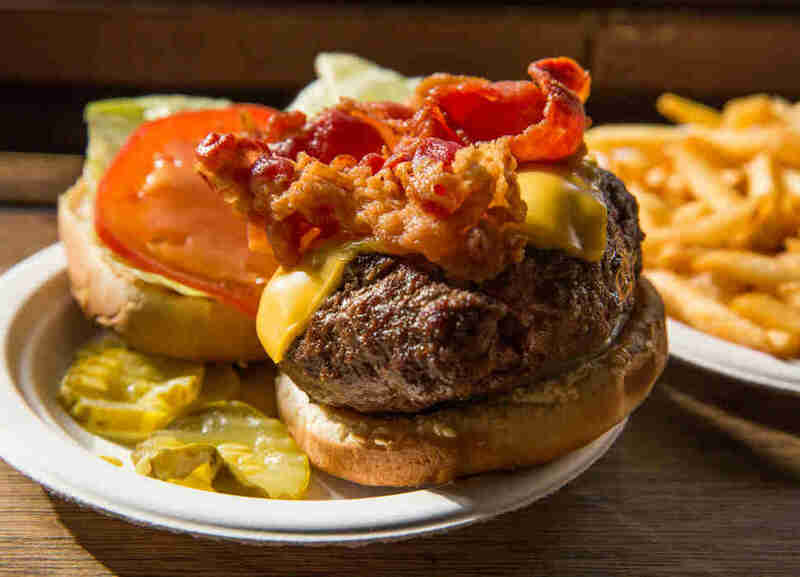 While that alone makes for an excellent burger, they key is to lean into the restaurant's Southern theme by adding on pimento cheese -- and, while you're at it, some bacon. Modeled in part after an Irish pub, the Spaniard succeeds in pairing good drinks with bar food that’s several steps above the average. That includes the Smash Burger -- another fine execution of a slightly dressed-up fast food-style burger, made with two Pat LaFrieda patties, plenty of melty American cheese, pickles, and a semi-spicy special sauce. Pair it with one of several whiskey cocktails on the drink menu. If you're craving a truly greasy, fast-food burger, this is it. And because you've already committed to all that grease, you may as well really go for it and order the Triple Cheese -- triple the meat, triple the cheese on a lightly toasted bun, topped with plenty of special sauce that tastes like an elevated version of Burger King's. 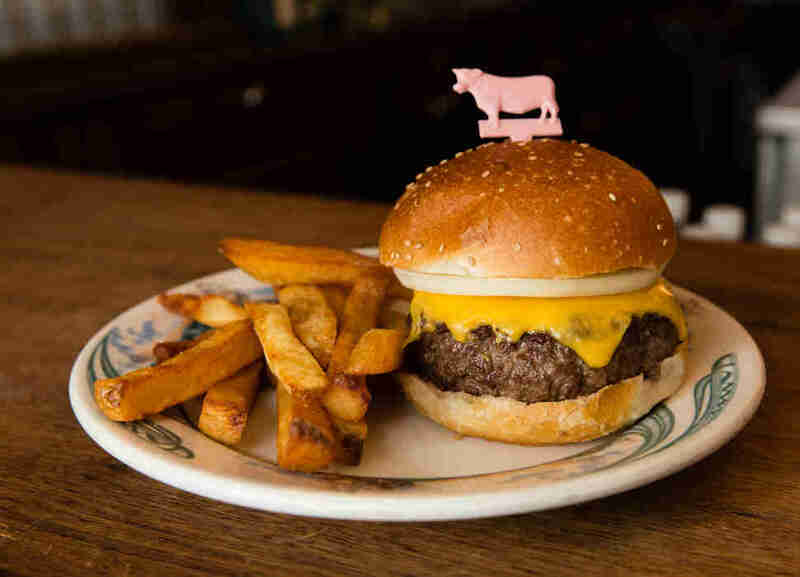 Eating a burger at the Ear Inn is a New York rite of passage. Mainly because it's a designated landmark of the City of New York, but also because it's the type of old-timey New York pub (its been around since 1817) where you can sit down at the bar, order a burger and a pint, and chat with the bartender like you've all been there since 1817. There are several kinds of burgers on the menu (including a lamb burger that's pretty underrated) but the juicy flat top-grilled prime sirloin burger with American is what you're here for -- an enormous yet lean bar burger typically served with an open-faced bun by one of the friendliest waiters or bartenders you'll ever encounter in the city. 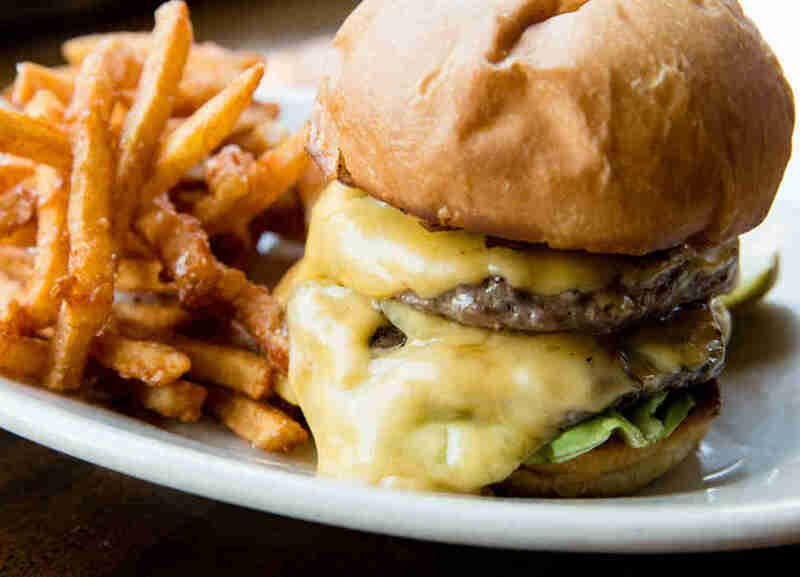 Minnesota's state cheeseburger has a loving home in the East Village. The beef/short rib blend featured in the Juicy Lucy at Whitmans comes stuffed with an almost overwhelming amount of pimento cheese (cut it open if you're looking for the safest, least shirt-damaging route in) plus caramelized onions and special sauce on a sesame bun. While we may not be very thankful for hockey, we should all be indebted to Minnesota for a burger that oozes this much cheese. Named Brooklyn’s very best burger by Thrillist’s National Burger Critic, Grindhaus stands out for its double Fleischers beef patties that offer just the right amount of crispiness, along with the perfect blend of cheese, house-made pickles, and special sauce (no tomato, no lettuce, and don’t even bother asking). The end product strikes the perfect balance of acidity and creaminess, and gets squished inside a sesame seed bun. 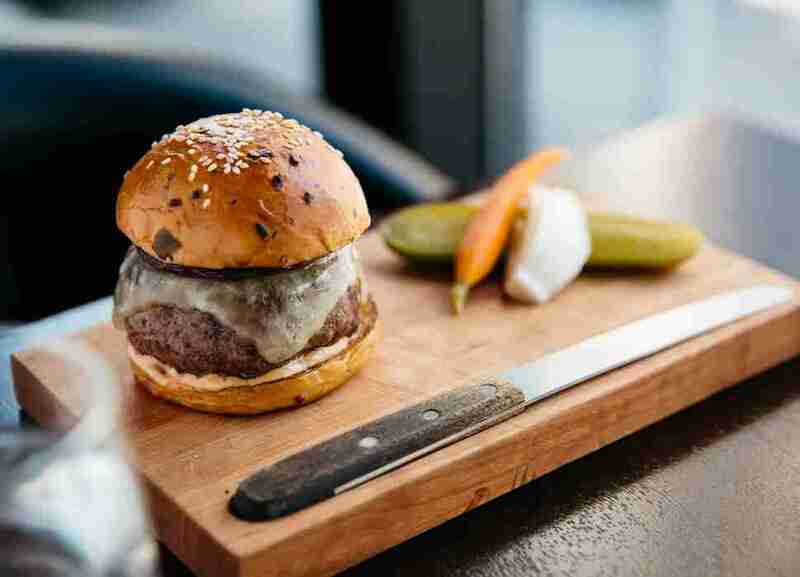 Think of chef Justin Smillie’s lunch-/brunch-only cheeseburger as an elevated take on the classic diner burger. 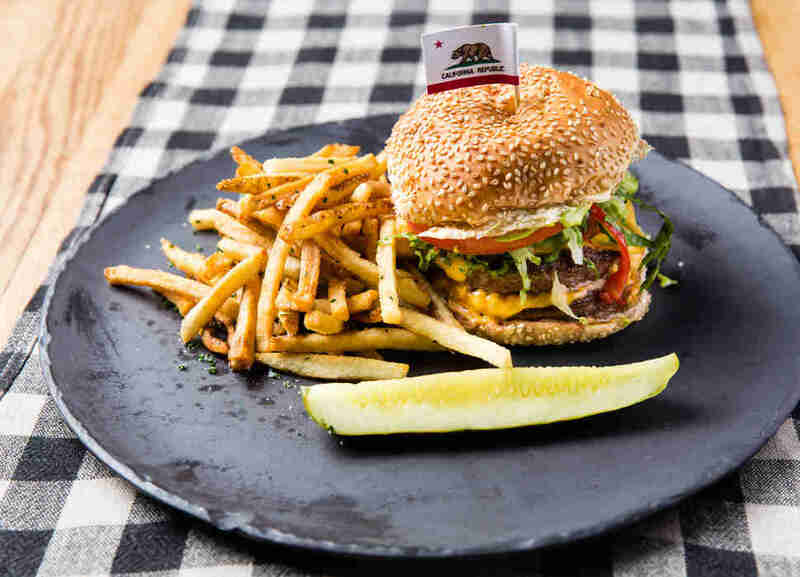 It’s a juicy, double-patty, grass-fed brisket and chuck blend from Pat LaFrieda that's well seared and topped with American cheese, peppadew peppers, cilantro, avocado, and even a tiny California flag (which you probably shouldn’t try to eat). While there’s truly nothing more confusing than a bar called the Happiest Hour doesn't actually have a happy hour, the Happiest Burger more than makes up for it. 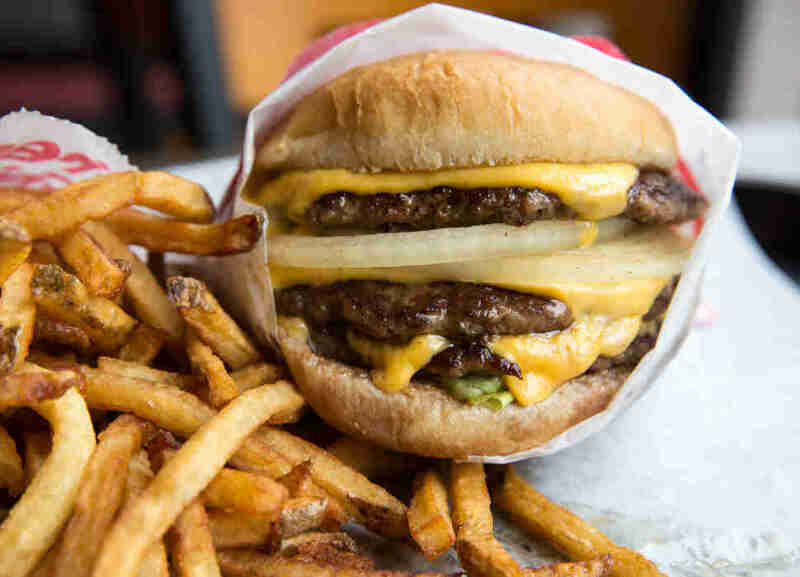 The double-patty, double-cheese burger is clearly modeled after an In-N-Out Double-Double, both in its presentation and in its nearly identical Russian dressing. But there are two crucial differences: 1) you can order your meat however you like it, and 2) the perfectly crispy fries are absolutely nothing like the very, very terrible ones from In-N-Out. Having anything to eat or drink at The NoMad Bar is sure to make you feel momentarily fancier than you actually are -- the people are all well-dressed and vaguely intimidating, and the drinks are sometimes served in vases. 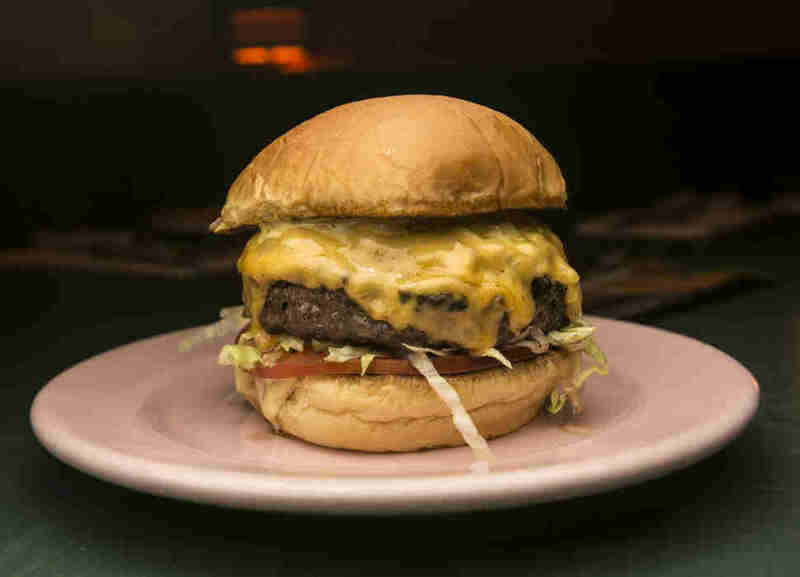 But a night here is incomplete without a Dry-Aged Beef burger -- a perfectly pink dry-aged chuck blend mixed with suet and bone marrow and topped with Cheddar and special sauce on a soft bun. P.J. Clarke’s has been around since 1884 and proudly boasts a long history of celebrity guests -- though today's crowd skews a little more banker than Buddy Holly. 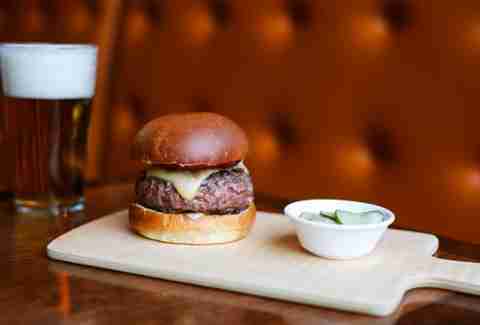 Still, The Cadillac (famously named so by Nat King Cole) is still a classic New York burger worth going for: double-smoked country bacon and American on a soft bun that's greasy in the way you want a pub burger to be, and just the perfect size -- not too big, not too small. 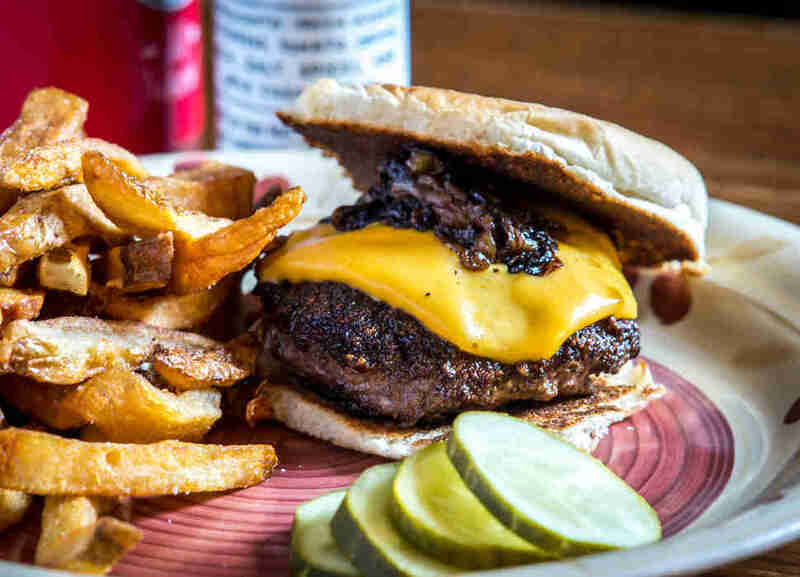 If you're looking for the quintessential New York dive bar burger, this is it. 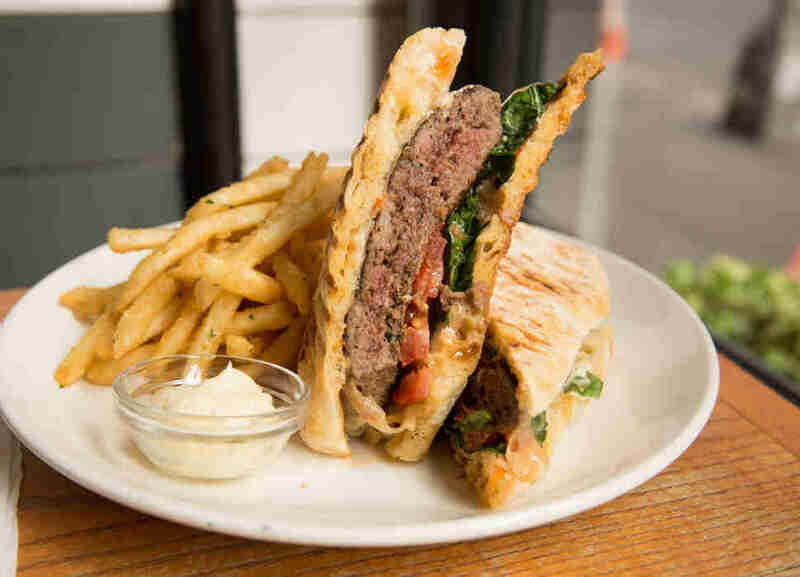 While other burgers in the city may be topped with truffles and gold leaves, the standard Bistro Burger at the West Village's Corner Bistro remains one of the most beloved in New York, because 8 ounces of beef with American and crispy bacon on a paper plate can make even the worst New York days tolerable. If you're looking for a great steak, then you know to go to Peter Luger. But if you haven’t stopped by for a burger at lunch, then you haven’t truly experienced it. The Luger-Burger is over half a pound of medium-rare (don’t you dare order anything else) USDA Prime dry-aged beef on a fluffy sesame bun with raw onion. Add cheese and the famous thick-cut bacon, which will come on the side of the burger, since it’s literally too large to balance on top of it. Purists will insist you skip the cheese, but it really doesn't obscure the flavor of the meat, which is perfectly tender and just the right color of pink on the inside. Minetta Tavern's Black Label Burger has quite the reputation -- largely because of its $30 price tag, but also because it's just a truly decadent burger: an 8-ounce blend of Pat LaFrieda prime dry-aged beef cuts, cooked until there's a nice, light crust on top, then dressed with caramelized onions on a custom brioche bun. No cheese -- though the flavor of the beef really doesn't require it. Sure, this isn't a once-a-week burger (sincere apologies if you are eating these nightly and I've just made false assumptions about your finances), but on special burger occasions when your standard double patty with American just won't do, this is the one to go for. Brooks Headley’s much-lauded quinoa-based Superiority Burger might be White Castle-size, but at $6 each, you can easily order two of them and feel full (and vaguely better about yourself for going meatless). Though completely vegetarian-friendly, the burgers here are definitely fast food-style in both appearance and taste -- the tender patties come topped with melted muenster, honey mustard, and spices on a squishy bun. It's not going to turn you off of meat forever, but it'll certainly make you rethink your stance on veggie burgers. 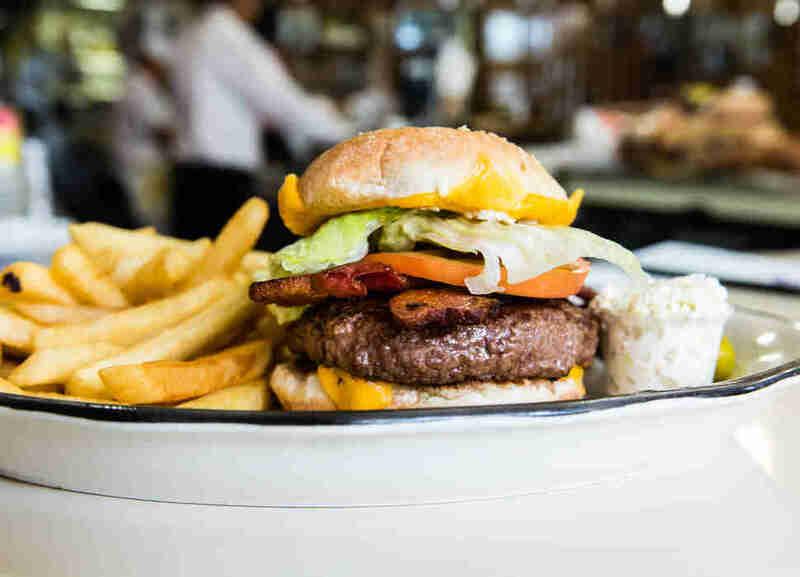 Truly the ultimate New York diner burger, Joe Jr.’s bacon cheeseburger is arguably one of the most comforting and reliable meals in the city. Whether you're going at lunchtime or 10:30pm, you can always count on Joe Jr.’s griddled patty with melted American and crispy bacon to be exactly what it’s supposed to be -- nothing more, nothing less. In a time of $30 burgers that demand hour-long waits, it’s nice to know you can always grab a a seat in a ratty old booth and order a $6.40 bacon cheeseburger ($9.10 if you’re living large and going deluxe). Toby Cecchini's still best known for having created Carrie Bradshaw’s favorite drink at the Odeon in the '80s, but his Cosmopolitan days are mostly behind him at his own bar in Cobble Hill, where the drinks are just as worthy of TV fame, and the fast food-inspired burger is arguably the best bar burger in the city. Chef Gabriel Martinez’s L.I. 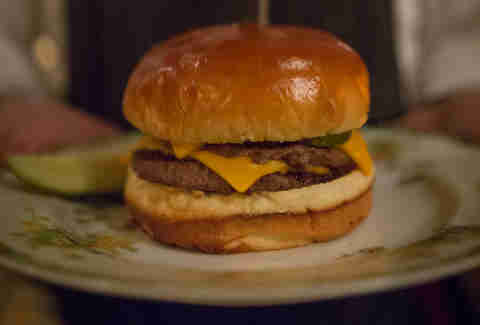 Burger comes with two dry-aged Fleishers patties, pickles, house-made American cheese, and “Fancy Sauce” (not to be confused with special sauce, which is obviously for peasants) on a soft bun. The clincher is the super-sour pickles, better than those you'll find on most burgers. It's a tough choice between the Classic Cheeseburger and the Bronte at this popular Aussie cafe -- the Classic is a beautifully messy burger dripping in cheese and sauce, but the Bronte offers two things you won't find anywhere else. For one, it's served on panini-style bread, which can be a confusing prospect (won't the burger just slip right out of the bread? How can that be as satisfying as a squishy potato bun?). Somehow, it completely holds together, and the texture is just as enjoyable as a standard burger bun. 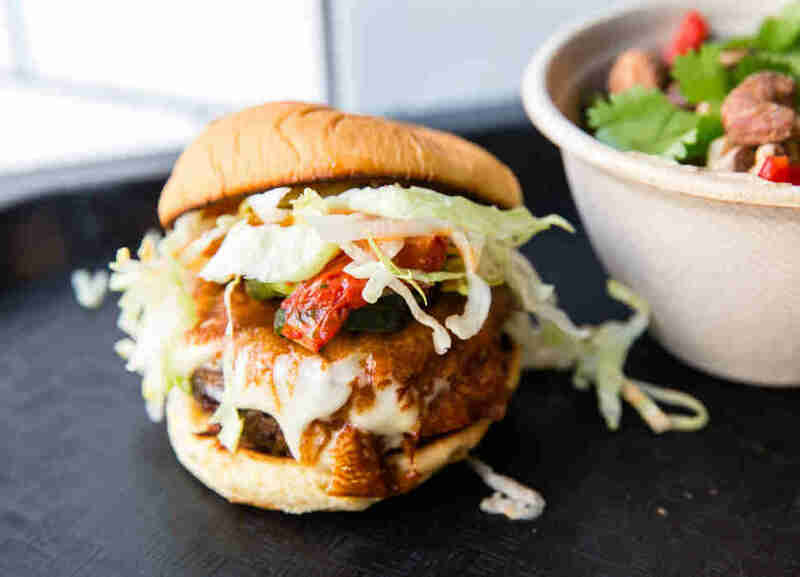 The other key thing here is the sweet chili oil, which, when blended with the cheese, mayo, and meat, makes for a burger that's at once sweet and savory. A walk-in probably won’t be able to score a table at this modern steakhouse/supper club unless you’re willing to eat after 11pm -- but the burger almost makes up for the obnoxious wait times. 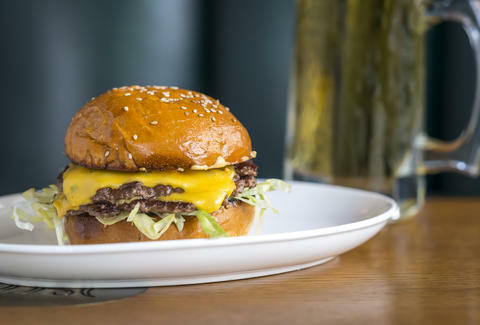 The restaurant comes from the team behind one of the most famed burger spots in the country -- Chicago’s Au Cheval -- and while it’s not a true carbon copy, it’s the closest you’ll get on the East Coast. The $20 price tag is hefty, but the burger is rich and satisfying, made with two 4-ounce patties and melty American, sandwiched in a perfectly toasted bun. It arrives, like the original, with a knife is stabbed down the center. Donovan’s is the quintessential Queens Irish pub -- it’s been in Woodside since 1966 and boasts random antiques, stained glass, and plenty of neighborhood regulars. 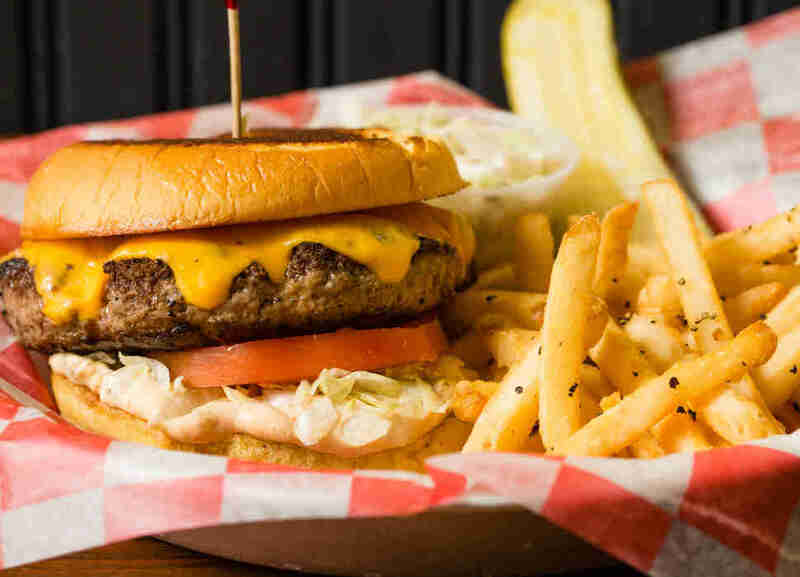 While you can always grab a cheap on-tap beer and enjoy the laid-back local company, the main draw here is the enormous burger, made with a half-pound chuck and a New York strip-blend patty broiled to medium rare and served alongside thick-cut steak fries. 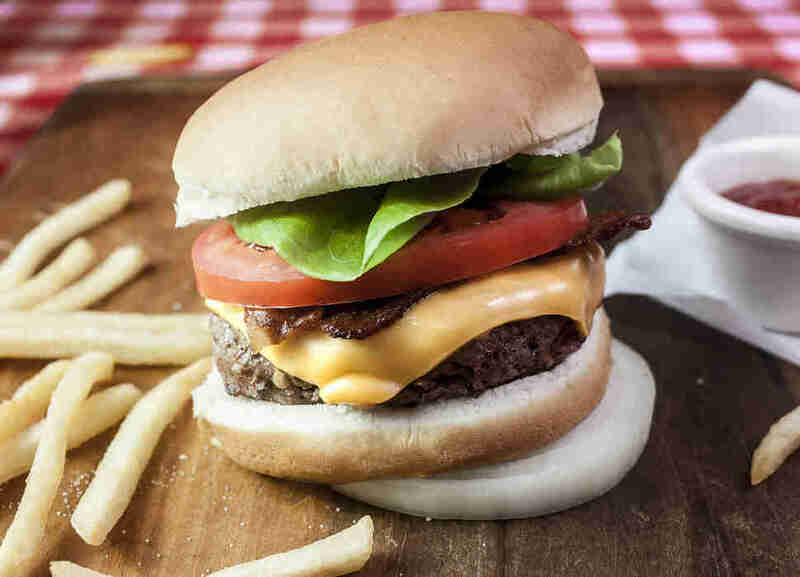 After initially leaving Burger Joint off this list, a Twitter feud with Henry Winkler (aka the Fonz) forced me to reconsider (yes, this is a brag). 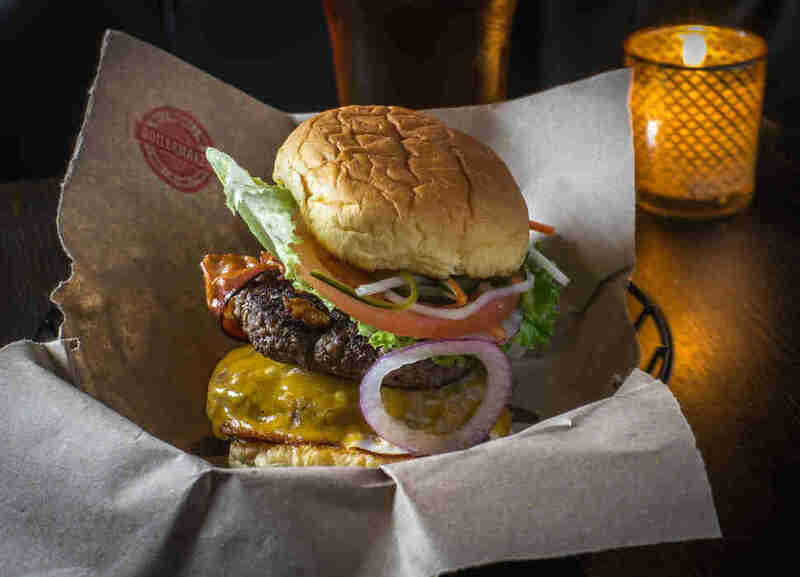 The burgers, affordable at $9.42, are a perfectly manageable size; the 5-ounce grilled patty topped with melted Cheddar and fixings is just enough to fill you up without feeling too heavy or rich. If you have family or friends in town, the semi-secret location hidden inside Midtown’s Parker Meridien provides a memorable experience. 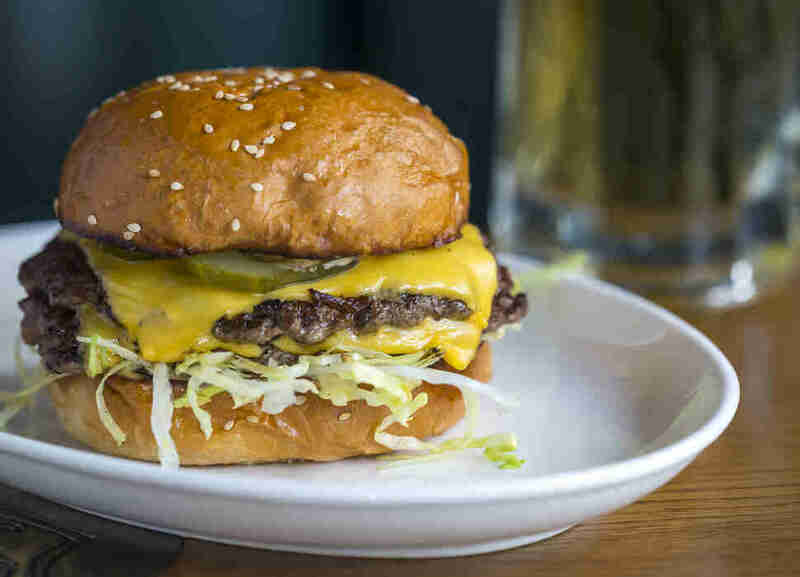 This charming Brooklyn spot is best known for its hangover-curing Southern-inspired comfort food (think pecan pie French toast, and fried pork chop and Cheddar waffles) but the underrated star of the menu is undoubtedly the burger, which arrives simply enough with local Cheddar, grilled onion, dill pickles, and sauce on toasted, fluffy brioche. Virginia’s is the place to go when you’re looking for a reliable (and not overpriced) brunch with friends in the East Village, but it’s also home to one of the neighborhood’s best burgers (available all day, with the option to add an egg and bacon at brunch). The thick, super-juicy patty gets topped with Cabot Cheddar and Vidalia onion marmalade, which adds the perfect balance of sweet and savory inside a squishy, buttery bun. 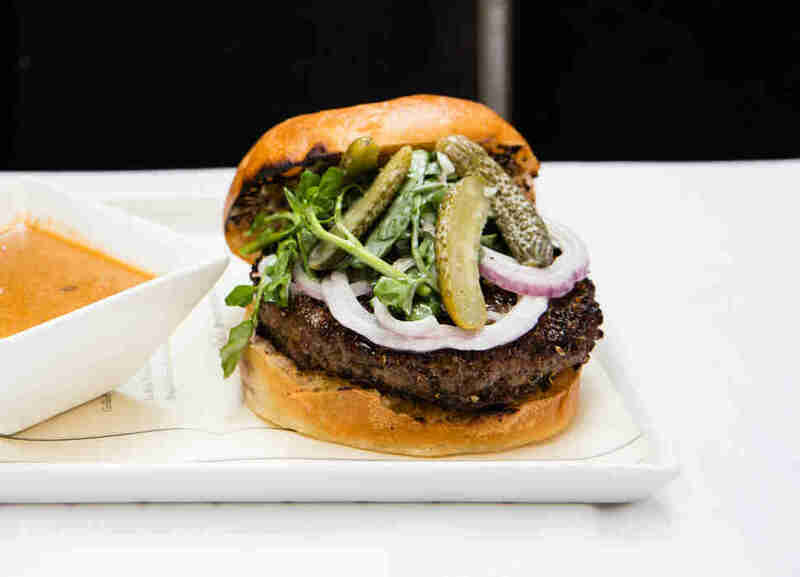 Before Danny Meyer opened his famed burger chain Shake Shack, the restaurateur’s best-known burger was at the (far fancier) Union Square Cafe. Though the restaurant shuttered for two years in 2015, the 2017 iteration thankfully brought back the USC Burger -- a pricey ($29) and wonderfully messy behemoth that involves a fat patty topped with thick-cut bacon, tons of melted cheese, and pickles inside a brioche bun. 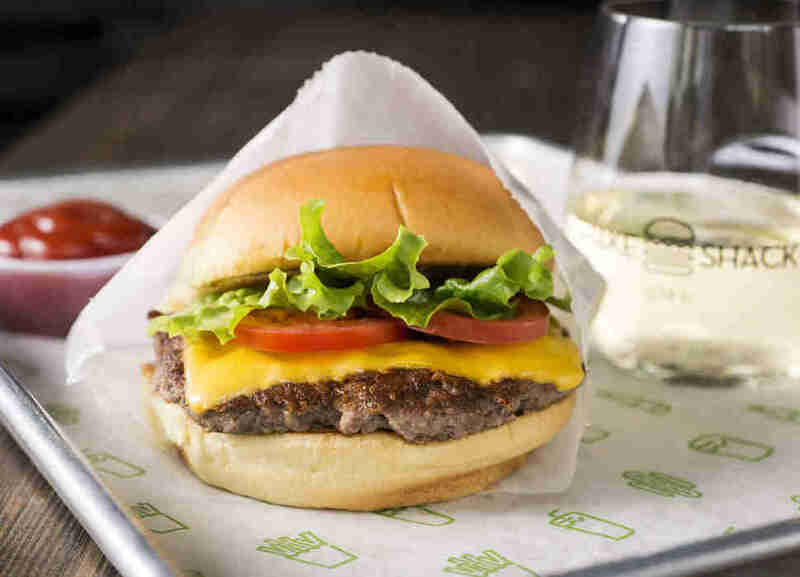 Shake Shack may be the cheaper option, but this one is a splurge-worthy New York classic. Lucy Meilus is Thrillist’s former New York editor and current senior editor at Refinery29. Follow her on Instagram for low-res images.